In the full heat of Summer I am often drawn to the zesty freshness of citrus flavours, and this is one of those sentimental Summer-inspired bakes that I really wanted to share with you, but with a twist, of course. 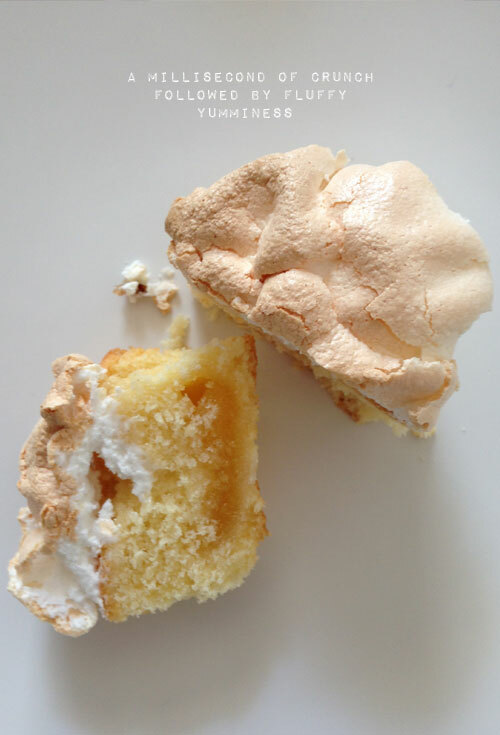 Lemon Meringue pie was a childhood favourite of mine and as the only other member of my family who liked this dessert, I hold fond and vivid memories of eagerly sharing a slice or two with my dear Gran. 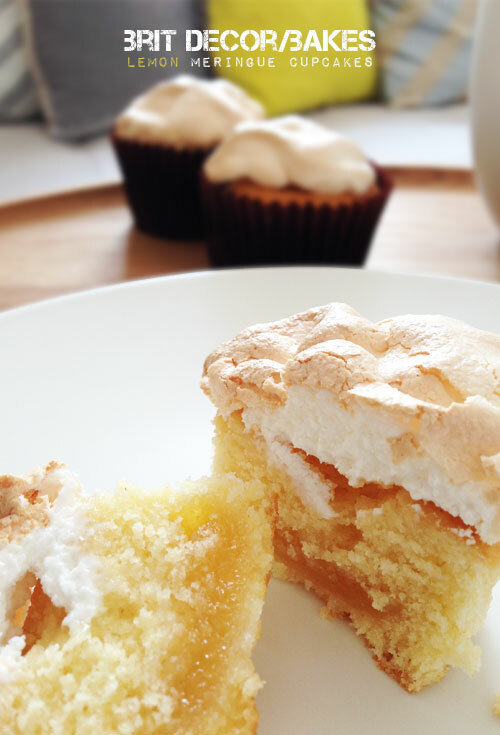 The silky texture and sharp taste sensation of the lemon curd combined with the beautifully baked peaks of meringue are some of my essential memories and tastes of Summer. So how would these crucial ingredients taste in the context of a cupcake? Preheat the oven to 180oC and line a baking tray with 12 cupcake cases. Mix together the caster sugar, flour, butter and eggs, followed by the lemon juice until you have a batter. Spoon half of the mixture into the cases and then place a tea spoon of lemon curd on top of each one. Add the remaining cake batter on top of the lemon curd. Place in the oven for around 10 minutes. Whilst the cakes are baking in the oven quickly whisk together the sugar and egg whites for the meringue (I like to add a couple of tea spoons of cream of tartar for some extra fluffiness but this is entirely optional). Once your mixture resembles fluffy peaks, add this to a piping bag and remove the cakes from the oven. 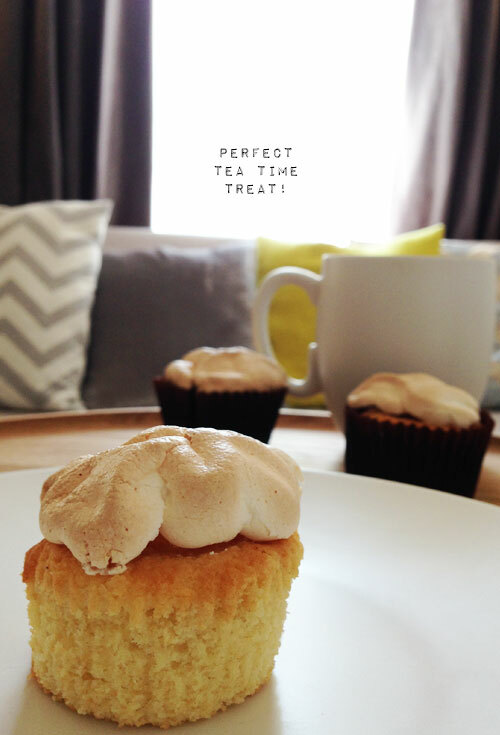 Add the meringue topping to each cupcake and then return to the oven to bake for a further 10 minutes. Happy baking friends!